Guardian editor Alan Rusbridger introduces Orwell’s masterpiece in this striking new edition. Synopsis : Winston Smith works in the Ministry of Truth — or Minitrue as it is called in Newspeak — altering newspapers and reports to follow the arbitrary dictates of Big Brother’s propaganda. Beneath his outward conformity, Winston dreams of sharing his treasonable thoughts, breaking ‘the locked loneliness in which one had to live’. And so he takes his first dangerous steps — writing a diary of his doubts and then falling in love with a woman of the Party, the beautiful and brave Julia. They know their love is doomed, but Julia swears ‘They can make you say anything — anything — but they can’t make you believe it. They can’t get inside you.’ In Oceania, however, there is no possibility of solidarity, rebellion or love, and the Party can get anywhere. 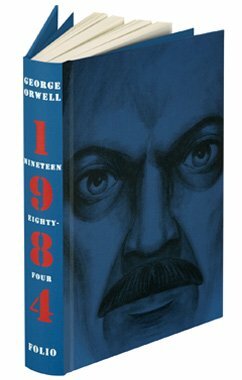 Orwell’s last and arguably his greatest work, Nineteen Eighty-Four has entered the cultural consciousness. Doublethink, thoughtcrime, the Thought Police, Big Brother and Room 101 — these terms have been absorbed into our language. Its title, however, remains a mystery. 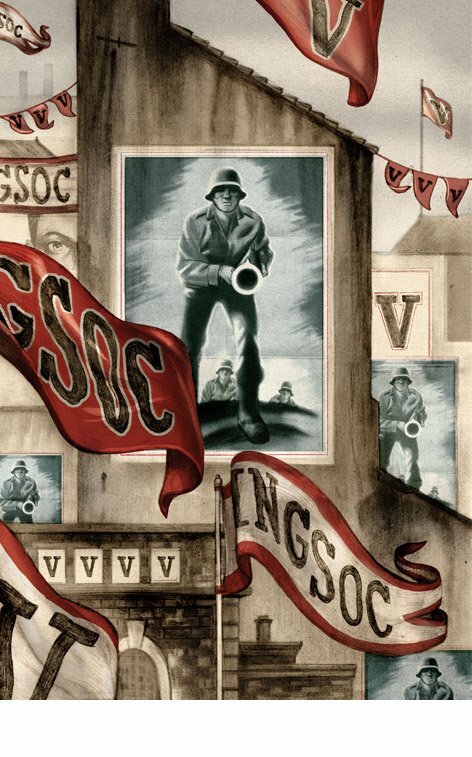 Among several theories about its inspiration are that it alludes to the centenary of the Fabian Society, founded in 1884, and that it pays homage to Orwell’s favourite writer, G. K. Chesterton, whose story ‘The Napoleon of Notting Hill’ is set in 1984. 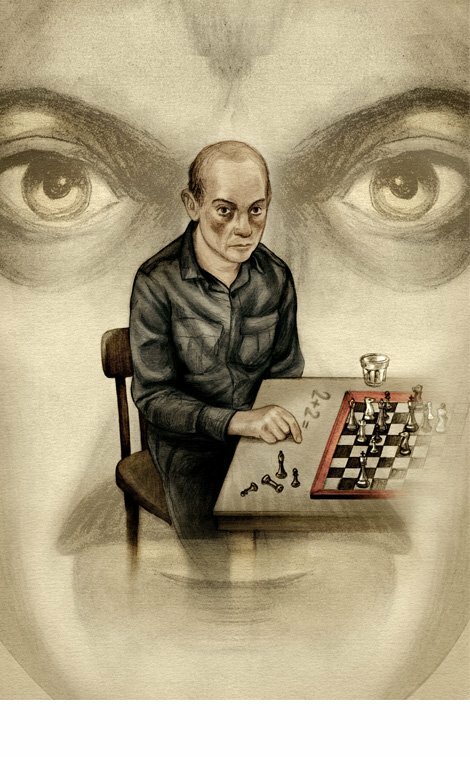 The novel is a satire on the totalitarian state — and the desire of the state to control not only the deeds but the thoughts and desires of those it rules. 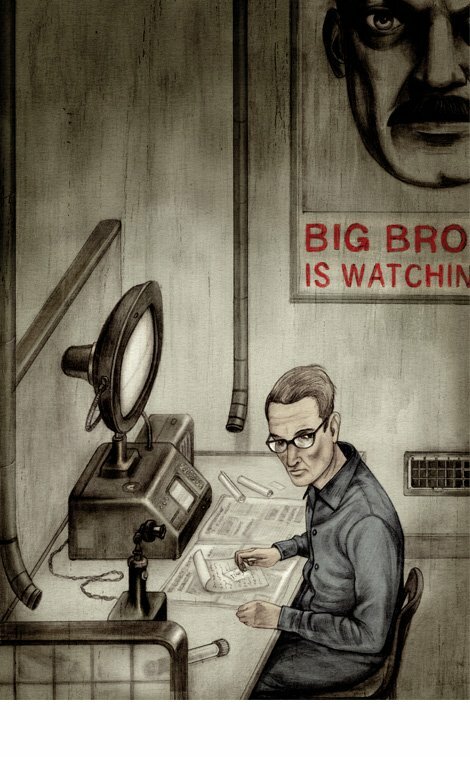 In his introduction Alan Rusbridger, editor of the Guardian newspaper, writes about why this remains such a modern concern, and why so many journalists and thinkers continually return to the novel to ask whether Orwell ‘got it right’, and to what extent we are ‘all, potentially, Winston Smith’. This edition features illustrations by Jonathan Burton, whose work has appeared in many Folio editions.